With 2017 here I know most of us have a New Year's Resolution but does your pet have a New Year's Resolution? My resolution was to improve two things in my diet. I wanted to go to only cooking with Coconut Oil and to go completely Gluten Free. I have done great with this so far! As a pet owner what do you resolve for your pet? Is your pet overweight? Does your pet have digestive issues? Does your pet need to exercise more? My resolution for Opie this year is to not feed him any table food. I am horrible to throw him a piece of steak or chicken as a treat when I am eating. I plan to use my Bil Jac dog treats to help me with that. Instead of throwing him table scraps I keep the Bil Jac Dog Treats close on hand. Bil Jac wants to help one lucky fan with their resolution this year also. Make sure you check out their site for more information on pet New Year's resolutions here. Whether it is to walk your pet more or to train your dog for better behavior habbits. It is doable! Remember your pet is just like one of the family! 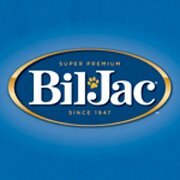 Bil-Jac wants to give on lucky Free For All follower a chance to win 2 packs of Bil-Jac Dog Treats. I like the small breed puppy formula. the Small Breed Puppy would be perfect for my lil 10 pound Min Pin! My dogs would go craze over the Gooberlicious® -- they LOVE peanut butter.